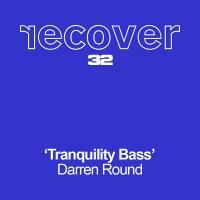 From Melodic Euphoric Vocal Trance to driving Techno Darren Round hits the spot with his uniquely British sound being played, downloaded and licensed all over the world. With a big presence in the USA and major support from the worlds biggest radio station networks like Sirius and XM he contiunes to bend the windows of all the best clubs all over the world." Thanks to everyone for all the great feedback over the past few years to everyone who knows and owns my music. I've been meaning to update my website for ages but everytime the photographer is free Im off working somewhere so for now its a myspace account. For those of you who've contacted me recently asking where you can buy my music, ask the labels the tracks have been signed to or have a look in iTunes as I cant upload it here due to contractual obligations.